Suchindram is a small village community in the Kannyakumari district of Tamil Nadu state but is an important site of pilgrimage in the sense that it is the only place in India where the trinities of Indian mythology (Brahma, Vishnu and Ishvara) are worshipped together. 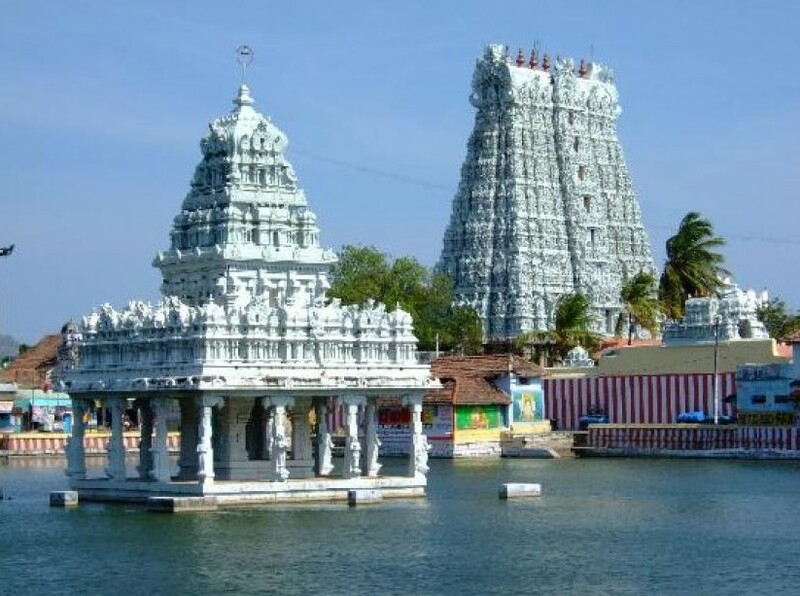 Suchindram Thanumalayan Perumal Temple is one of such rare temples and even its name consists of three elements: “Sthanu” is a name of Shiva, “Mal” stands for Vishnu and “Ayan” is for Brahma. Like any other Hindu temple in India, this one has got some famous legends related to its history. Each of the legends is unique and extremely interesting. The most interesting legend is about a sage called Atri and his wife Anasuya who was widely known to be extremely devoted to her husband. It was believed that she could perform miracles using the water she washed her husband’s feet (‘paatha theertham). Goddesses Saraswati, Laxmi and Parvati through sage Narada found out about this unique power of Anasuya and decided to test her powers because they became a bit of jealous of Atri’s wife. Narada told them that Anasuya was the best example of a devoted wife in the world. So Shiva, Brahma and Vishnu were asked to test Anasuya by their wives. They appeared in Atri’s ashram in the form of old Bhramins to beg for alms. When the woman was ready to serve them food, they told her that they had taken a vow not to accept served food from any who is dressed! At first She was very embarrassed and confused, then she prayed and sprinkled water on them turning them into babies! She managed to feed them according to their vow. Three goddesses were worried because of a long absence of their husbands and came to Anasuya who used her power again and the babies turned back into Shiva, Vishnu and Brahma. Once they disappeared in that very place three Svayambulingas sprouted at the foot of a laurel tree. The most amazing this is that this laurel tree and the lingas are still there! The main speciality of Suchindram Thanumalayan Perumal Temple is its art and sculptures. In one of the adjacent to a corridor there are several big pillars formed just from one stone! Two of these pillars form a group of small ones. And this small pillars are known to be so called musical pillars which are really famous. Unfortunately at the moment no one can tap on the pillar to hear the music – iron grills were placed around them to prevent vandalism. One more interesting things about this temple is that outside there is a huge figure of Hanuman. It reached up to 17 feet high! As per festivals celebrated in this temple, there are few of course, for example, in December/January there is one called Markazhi and in April/May there is one more named Chiththirai. During the first one the deities are taken out from the temple in a colourful procession around the streets. The best time to visit Suchindram Temple is certainly during the festive seasons especially in December when the festival goes on for a number of days and the weather is not that hot. Of course anyone can visit the temple any day but keep in mind that there is a daily pooja schedule and daily worship timetable (4 AM – 12 PM and 5 PM – 8.30 PM). Requesting all the tourist to abide the dress code rules to avoid disappointment.